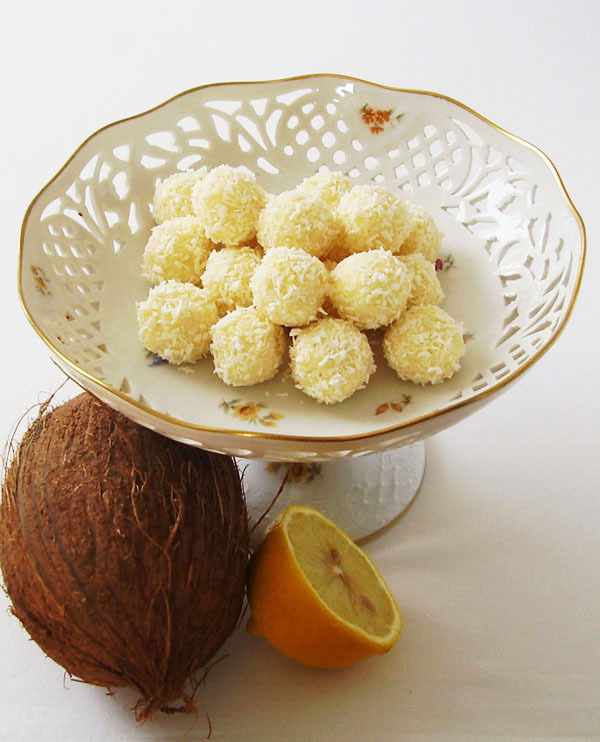 Jamaica No Bake Balls – white chocolate and coconut dessert made in few minutes. Suits every occasion. This is an ancient recipe. It was fancy, very fancy indeed since it was not that easy and cheap to get a bar of white chocolate. Swiss producer Nestle has launched white chocolate bars in 1930’s. I cannot even imagine the price people had to pay to get a bar. Nowadays, we care about the time only. It is funny how things change. I always like to have several no bake desserts for Christmas since I am, like all of you, always short of time. Time is the most expensive ingredient for everything we do. When making plans to make these balls put white chocolate to the freezer for a while because it will be much easier to grate. When I forget to do that, it melts in hands and slows the process. Once you finish grating, the rest is really matter of several minutes. You can finish them up while there is your favorite TV show on or maybe kids could help. Jamaica balls taste the best after two or three days in fridge or pantry. If you manage to hide them that long. In a bowl, carefully mix chocolate, icing sugar, rum, lemon juice, coconut flour and butter, using tablespoon. 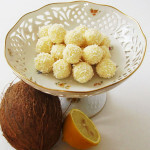 On a plate, put 3 Tbsp of coconut flour to prepare to roll the balls in it. Make the balls using your hands. Roll each of them in coconut flour and lay on a plate.